Drones are one of the popular and cool gadgets to own in this era. You can get a nice small drone without burning a hole in your pocket. Drones have become a popular gadget in photography and video making. 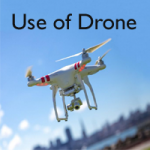 Many own a drone these days, just for recreational purposes. While it is easy to fly a small drone, we should also understand the best practices and safety clauses, before we fly that small beast. So, here comes the article on How to fly a Drone. Drone makers use some basic physics principles to make it fly. And here we will be brushing up some of those concepts. Drones use rotors or a fan in layman terms, for propulsion and control. The blades of the rotor push down the air and eventually, the air pushes up the rotor. This is how the upward lift happens. The faster the rotor, the higher the lift happens. We have all tried to fly drones, as soon as we buy them and then end up crashing them. I hear that “Been there, done that! !” It is quite normal for us to promptly crash a new drone. Luckily, most of the mistakes that we commit can be solved with a few easy steps that we are highlighting below. How to fly a drone for beginners? Most drones do not have a set of instructions that needs to be done, before flying it. Although many countries across the globe allow us to fly drones without registration, countries like the USA require drone owners to register with the Federal Aviation Authority (FAA). 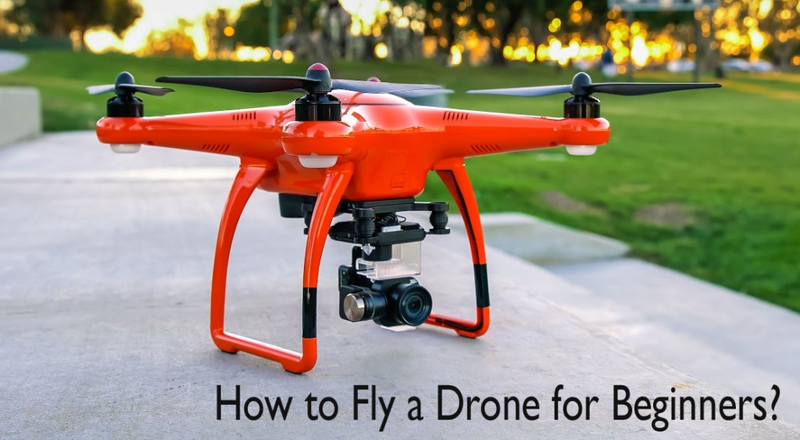 Here are some instructions to help the beginners know how to fly a drone. Fly below or at 400 feet above the ground. Know the controlled aviation spaces. Do not fly close to event arenas or stadiums. Do not fly near emergency areas like building fire or car accidents. Stay away from airports or airplanes. Do not fly while you are under influence. Fly within line of sight and try to bring it back, if it wanders away. If a drone is used by a business or a government entity, a commercial license governed by another set of rules, need to be obtained. Drones are operated with a remote controller or a transmitter. This is similar to a joystick used in your play station. 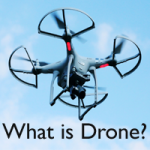 Let’s understand the basic maneuvers regarding how to fly a Drone. To fly a drone, one of the basic controls is the left stick. When the left stick is moved along the left-right axis, the drone can be rotated clockwise or counterclockwise. This way the drone can be made to look in other directions without leaving its current spot. When the stick is moved up and down, the stick can be used to control the altitude. This movement is usually used in conjunction with the right stick. The right stick is used similarly and in conjunction with the left stick, to fly a drone. When the right stick is moved on the left-right axis, the drone can literally roll along either side. This is useful to avoid any hard obstacle like a tree, without using the left stick. When the right stick is moved up and down, in sync with the left stick, the drone moves forward or backward. The usage of this stick needs a lot of practice as its difficult to use it with the left stick. Make sure you fully charge your batteries to ensure uninterrupted flight. Also, make sure to have some backup batteries. Make sure to find the right spot, which would be in compliance with the FAA regulations. A wide, open area with fewer obstacles works better. Follow the instructions to position the drone in the right manner, typically on a flat surface in front of you and facing in your direction of sight. Push down the throttle and then connect the drone’s battery to the transmitter. After flying the drone, do the above in reverse. Make sure to follow this every time and always. The first baby step towards flying is to practice, take off and landing. By practicing this you will gain enough control to use the sticks with ease. Push the left stick up slowly, to lift the drone above the ground. Use the right stick to roll and pitch without moving the drone. Similarly, use the right stick to land the drone smoothly. Next step is to get comfortable with rotation. For this, you need to extensively use the left stick. Launch the drone and push the stick left or right to rotate the drone. Make sure to get used to the controls of the sticks and try to keep repeating and practicing them, even when you are flying the drone. The more reflex you are, the easier you become a drone pilot. Whether you fly a small drone or a multi-rotor one, make sure to follow all basic safety precautions. Use the instructions briefed above to get a hang of the art of flying a drone. Always keep the drone within your sight to avoid crashing them into obstacles. Take good care of your drone and ensure there is enough battery. Remember to clean your drone and ensure there is no water present on the surface. Follow manufacturer instructions to the word and have a safe flight! Stay in touch with our portal for the latest info on Best Drones.